This Expansion adds 200 new and updated unit data sheets to cover the USSR, UK, and USA for the 1980s period, as well as adding unit data for Argentina and UK for the 1982 Falklands Conflict. The Expansion also includes two new map panels (each 11" x 17") that cover the Falkland Islands and Argentine coastal areas so that you can create and/or play scenarios that can range over the entire Falklands theater. The Expansion includes a 20 page Rules Manual that has two sections: the First section adds new, expanded and advanced rules for MNC that add new depths of realism to the game, as well as accounts for advances in technology that occurred during the 1980s time frame. 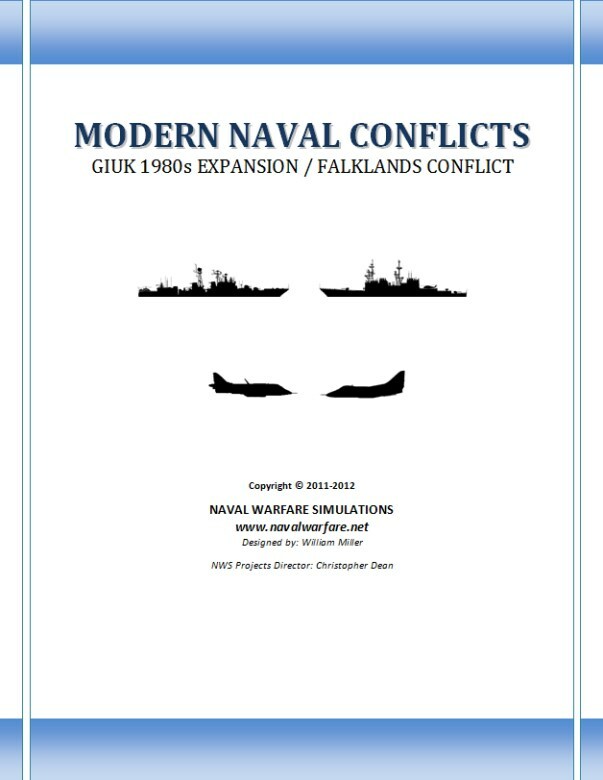 The Second section of the manual covers the 1982 Falklands Conflict, with geographical and related information (as well as rules specific to the Falklands Conflict) needed to plan, create, and play scenarios for the Conflict. This section also contains information about different types of missions that each side performed during the Conflict to help players create their own scenarios. Each mission type also includes a historic 'starter scenario' that demonstrates a typical version of that mission. The Expansion also includes a new sheet of 280 die-cut 1/2" counters, with new counters for missiles for red and blue sides, and adds sufficient counters to add a third side (green) to play, which can be used for the Argentine side in Falkland scenarios,or perhaps as a 'minor' navy in a GIUK battle.